~ by Kamal Dollah on Mar 11, 2014. 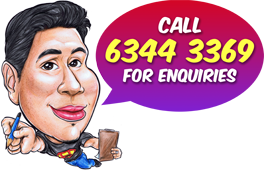 Can you quote me for Digital Caricature for a A2 size (full colour) with frame. Here are the elements that I would like to have in my wedding caricature. - 3 insane monkeys on the bike. Monkeys? The bride later explained that the monkeys were their match maker. His chivalrous deed rescuing him from the tree monkey was the turning point in their relationship. 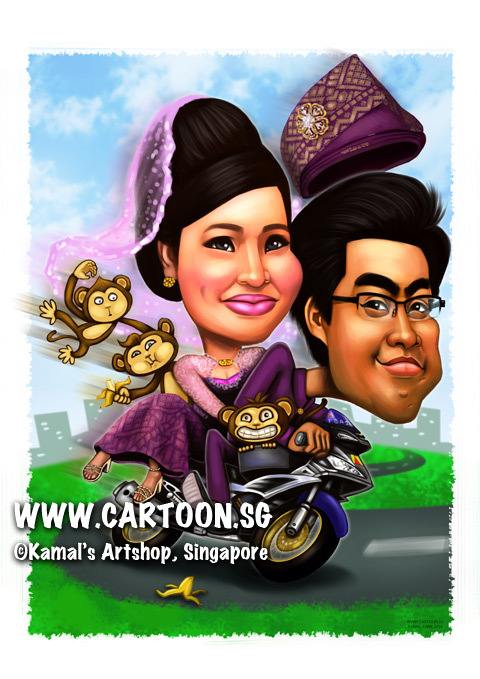 And she was happy she got this custom digital caricature done instead of bridal photography.